There is fast-growing awareness of the role atmospheres play in architecture. Of equal interest to contemporary architectural practice as it is to aesthetic theory, this ‘atmospheric turn’ owes much to the work of the German philosopher Gernot Böhme. 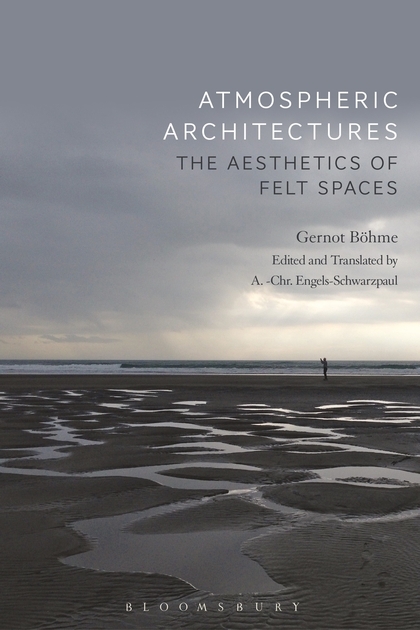 Atmospheric Architectures: The Aesthetics of Felt Spaces brings together Böhme’s most seminal writings on the subject, through chapters selected from his classic books and articles, many of which have hitherto only been available in German. This is the only translated version authorised by Böhme himself, and is the first coherent collection deploying a consistent terminology. It is a work which will provide rich references and a theoretical framework for ongoing discussions about atmospheres and their relations to architectural and urban spaces. Combining philosophy with architecture, design, landscape design, scenography, music, art criticism, and visual arts, the essays together provide a key to the concepts that motivate the work of some of the best contemporary architects, artists, and theorists: from Peter Zumthor, Herzog & de Meuron and Juhani Pallasmaa to Olafur Eliasson and James Turrell. University of Pennsylvania), the volume also includes a general introduction to the topic, including coverage of it history, development, areas of application and conceptual apparatus. Gernot Böhme is Emeritus Professor of Philosophy at Darmstadt Technical University, Germany, and founder and director of the Institute for Practical Philosophy in Darmstadt. A.-Chr. Engels-Schwarzpaul (editor and translator) is Professor in Spatial Design and Postgraduate Studies at Auckland University of Technology – Te Wananga Aronui o Tamaki Makau Rau, in Auckland, Aotearoa/New Zealand.